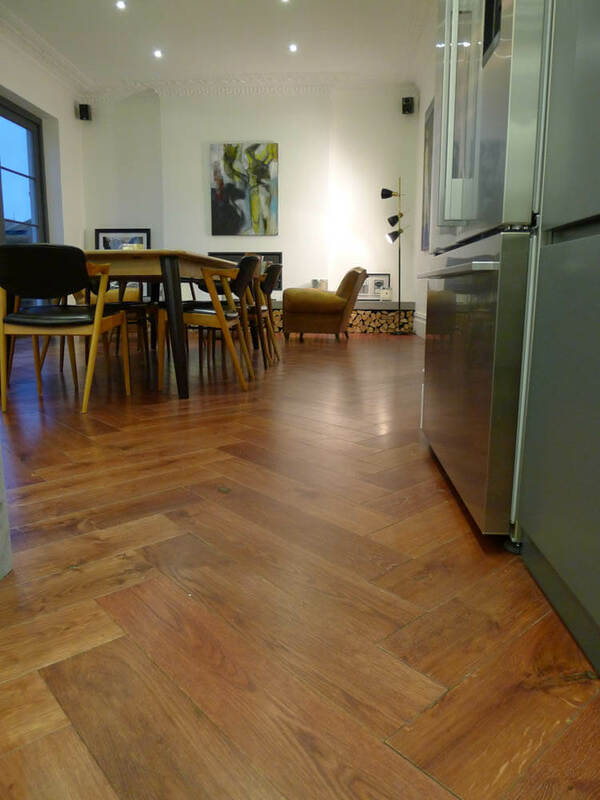 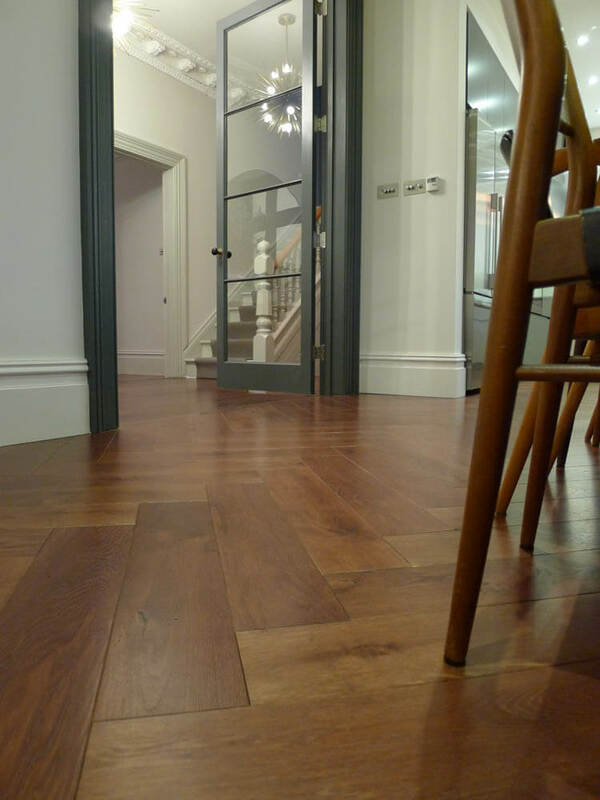 This stunning Victorian townhouse in Clifton used Chaunceys FSC® Certified Tectonic® Engineered Oak Parquet in an oversized Continental format to create a new kitchen and living room from two rooms which had been knocked-through into one. 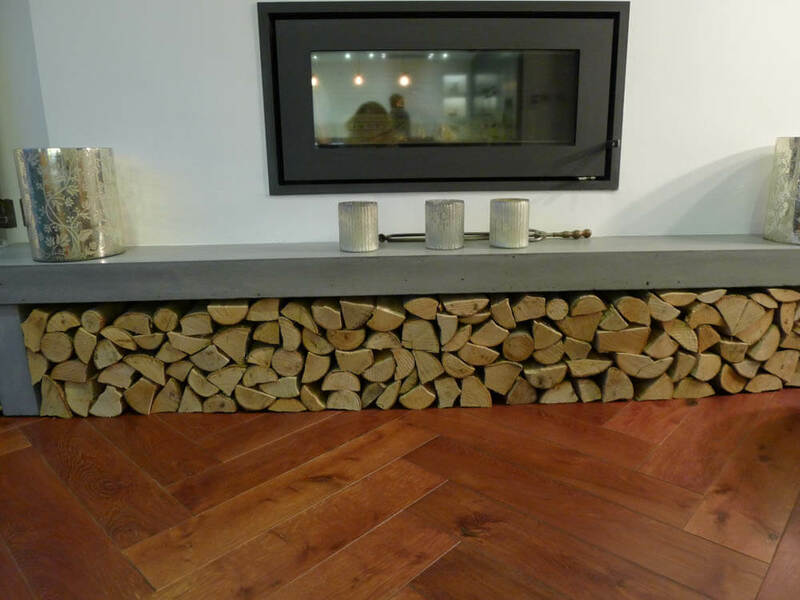 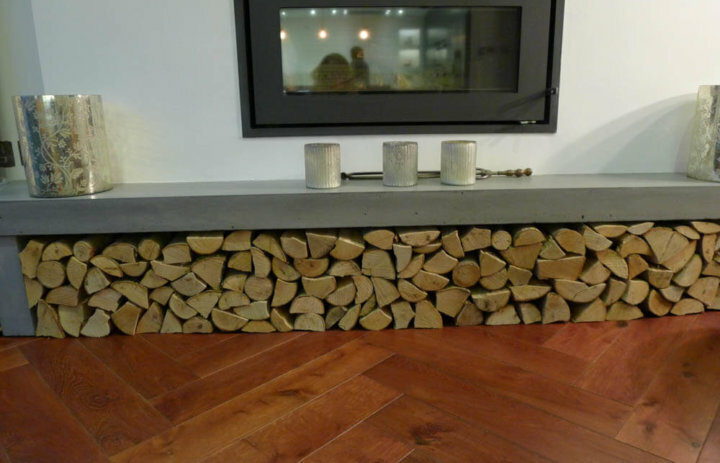 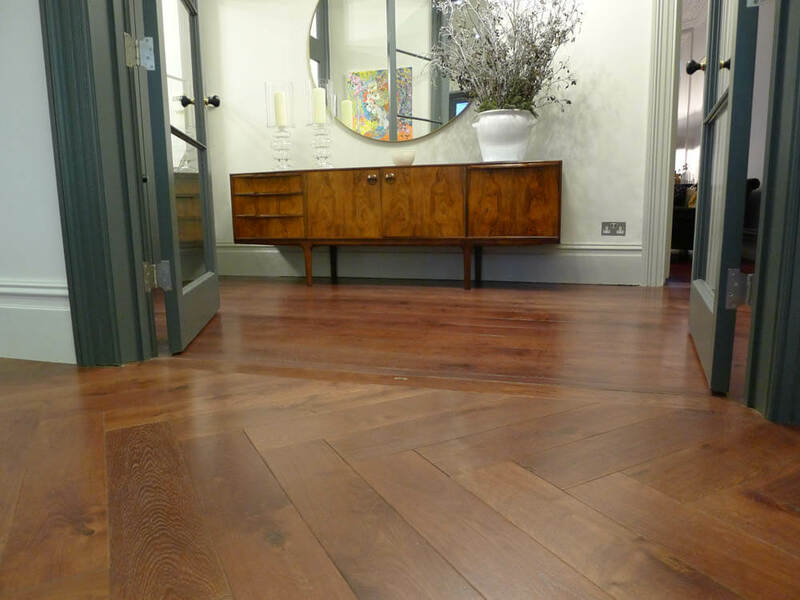 The herringbone pattern has created a feeling of space and geometric design which complements the modern feel of the room, whilst still keeping the natural feel of the oak. 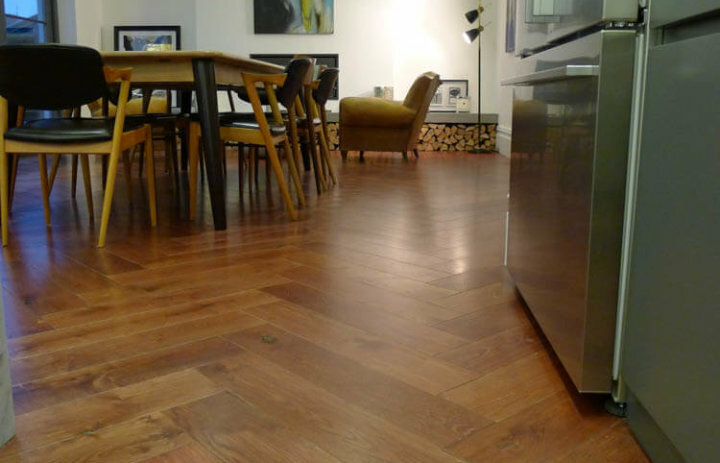 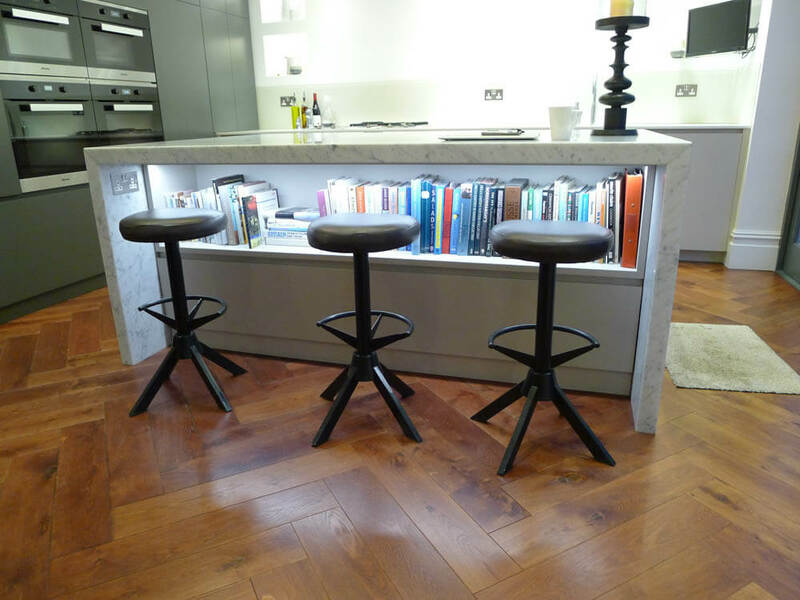 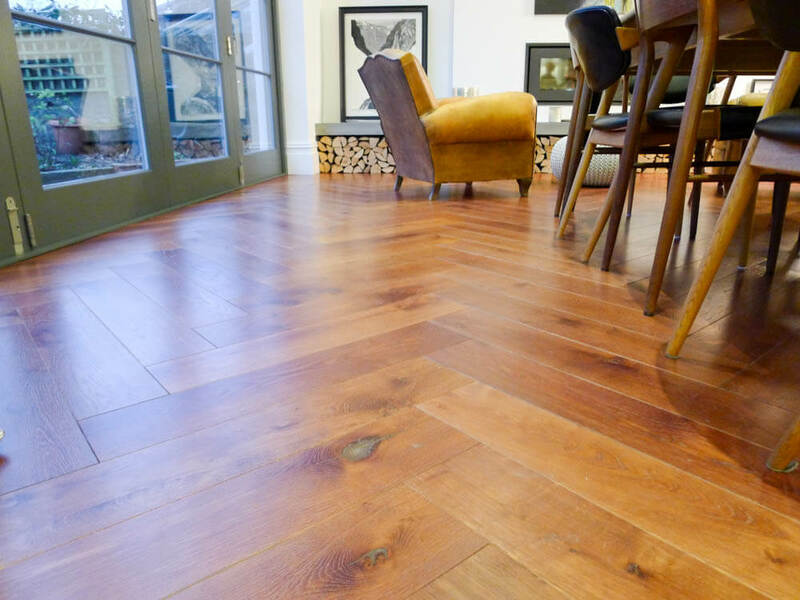 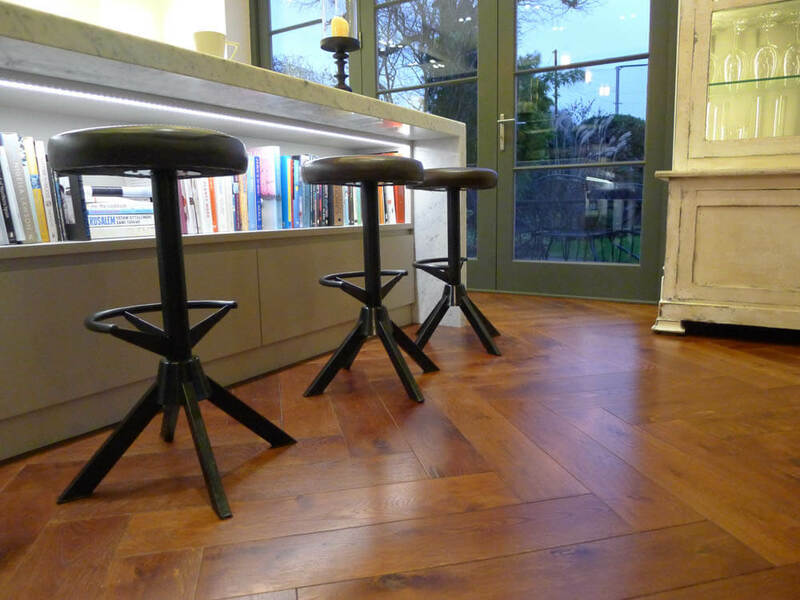 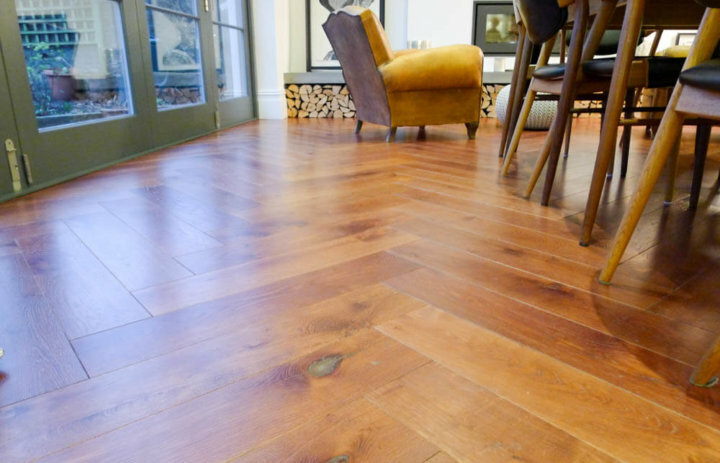 Once the FSC® Certified Engineered Oak Parquet had been chosen, Chaunceys Floor Fitting Services held long discussions with the client to create the correct bespoke finish for the Continental-style parquet blocks. 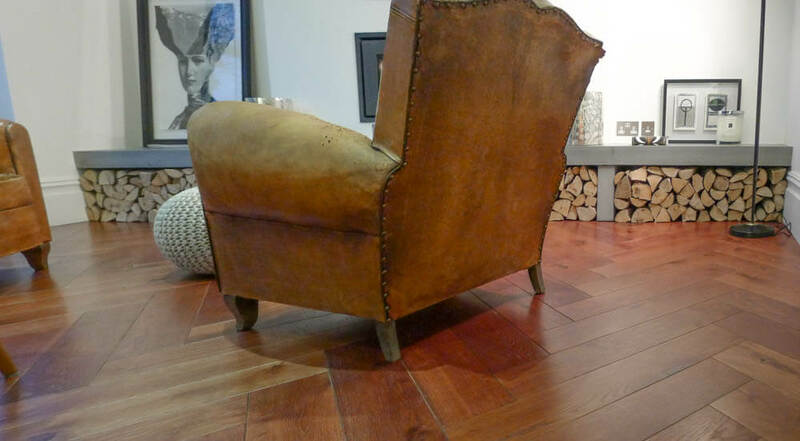 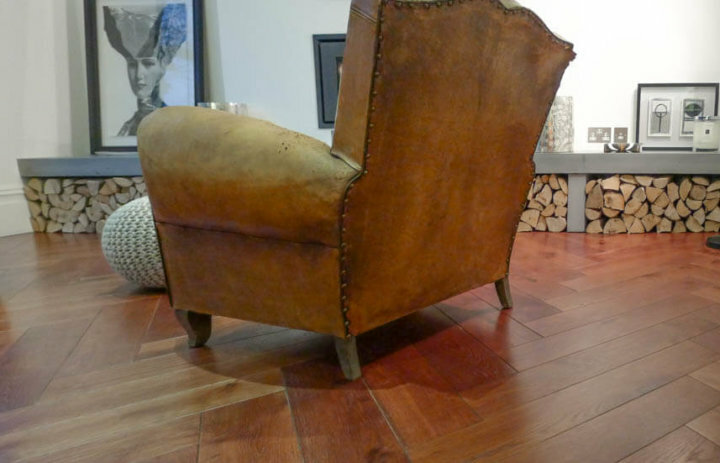 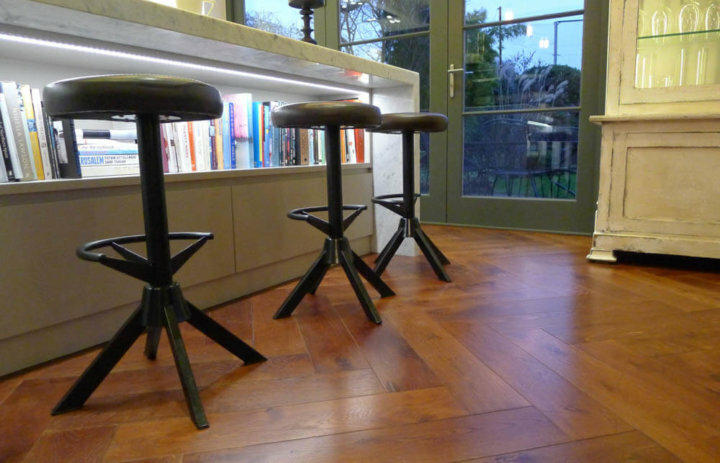 This finish was also applied on site to the existing oak flooring in the rest of the house to create a homogenous feel. 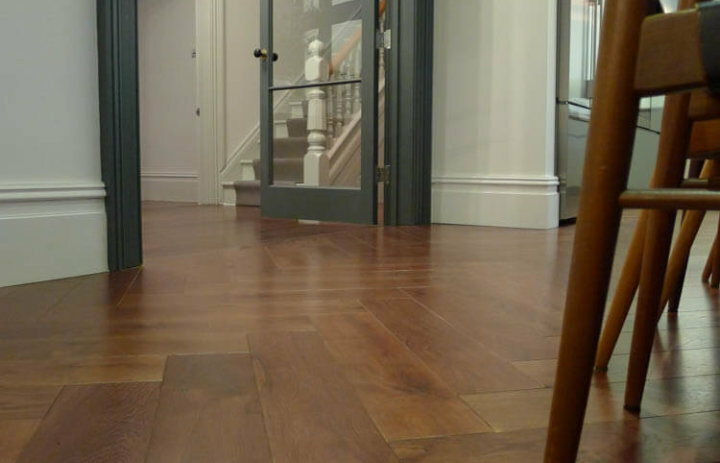 The differing subfloors created an additional challenge for the Chaunceys Fitting Team, who needed to level the two floors before the laying of the parquet could begin. 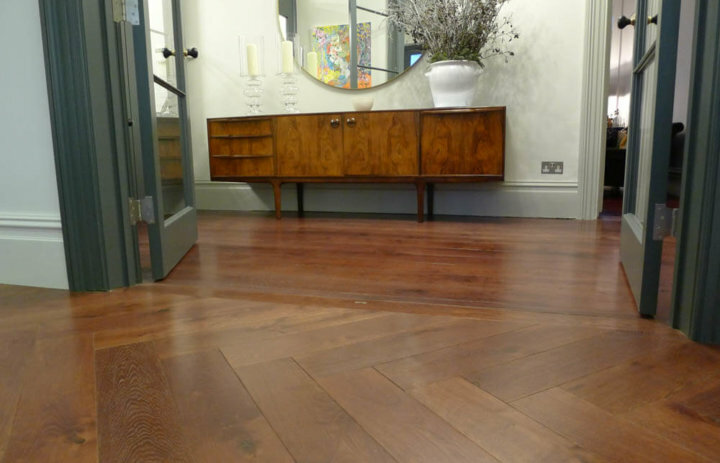 Once the bespoke finish had been applied to the Parquet blocks and to the existing oak flooring, it was protected with two coats of Treatex Satin Hardwax Oil.